Fernandes was established in 1969 in Japan. The Burny brand was used for the Gibson replicas and the Fernandes brand was used for the Fender replicas. Fernandes initially made acoustic guitars and started making electric guitars around 1971 or 1972. The Burny Les Paul models first appeared in the mid 1970s. 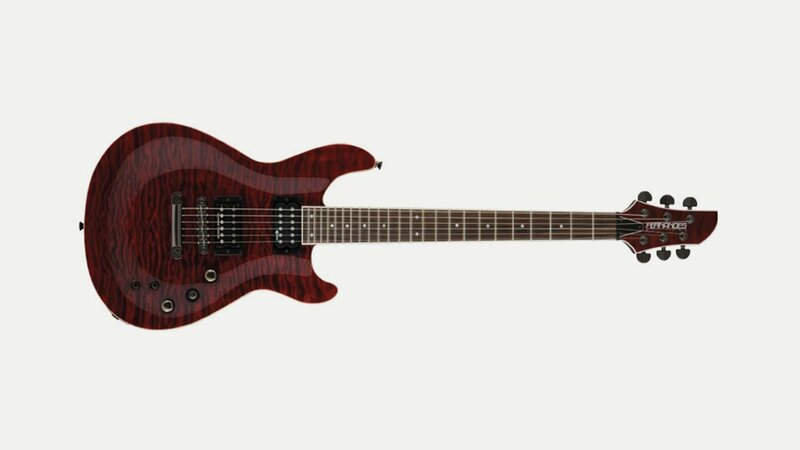 Fernandes currently has guitars made in Japan, Korea and China. Fernandes does not have its own guitar manufacturing factories and relies on OEM guitar manufacturers to make its guitars. Fernandes has used many different factories to manufacture Burny guitars, including Terada in the 1970s, Tokai in the late 1970s, Terada (FLG models) in the early 1980s, Matsumoku (most RLG models), FujiGen (most RLC models) from the early 1980s up until Matsumoko’s demise in 1986, Dyna Gakki from 1986 to the mid 1990s, and currently Tokai. Fernandes continues to manufacture guitars (in both Japan and China) that cover the range from inexpensive starter models to custom high-end Gibson and Fender replica instruments of exceptional quality.